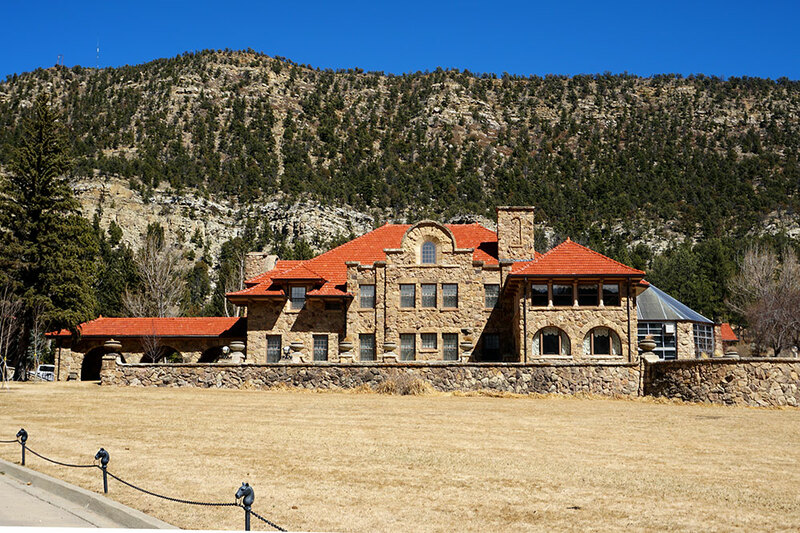 On arrival in Albuquerque, rather than heading up I-25 to Santa Fe, we took a leisurely 54-mile drive along the scenic Turquoise Trail (NM Highway 14), passing forested state parks, former mining towns, pottery shops and even an alpaca farm. 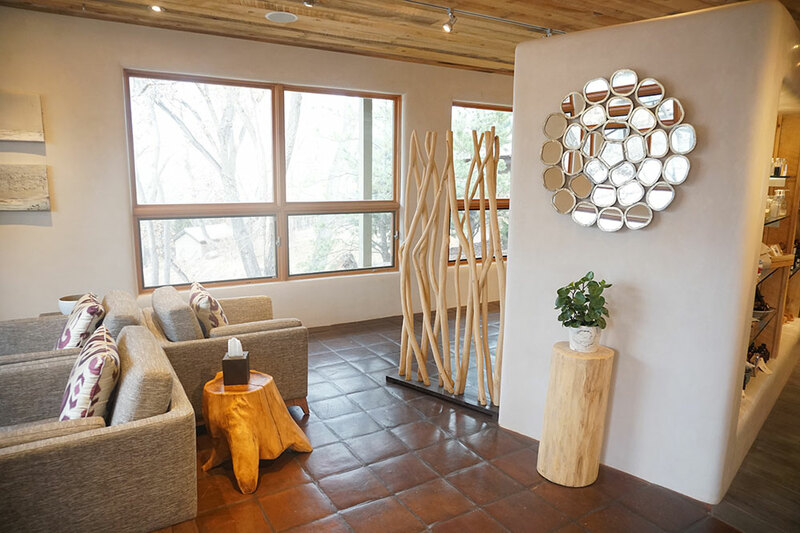 Then, skirting downtown, we headed directly to our first hotel, Ten Thousand Waves, a Japanese-inspired spa resort nestled in the foothills of New Mexico’s Sangre de Cristo Mountains — which glow red at sunset, hence the name — four miles northeast of the Santa Fe Plaza. Upon arrival, we breathed deeply the scent of pinyon pines, juniper trees and the sweet smell of sagebrush. Check-in was efficient, but the receptionist made no effort to help carry our bags as she led the way to the room. 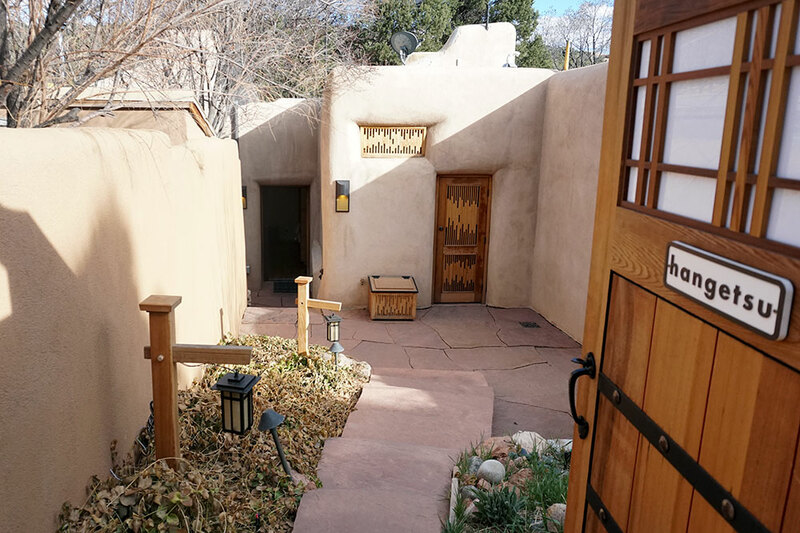 A private gated entry opened to a large courtyard and a freestanding adobe ranch house. 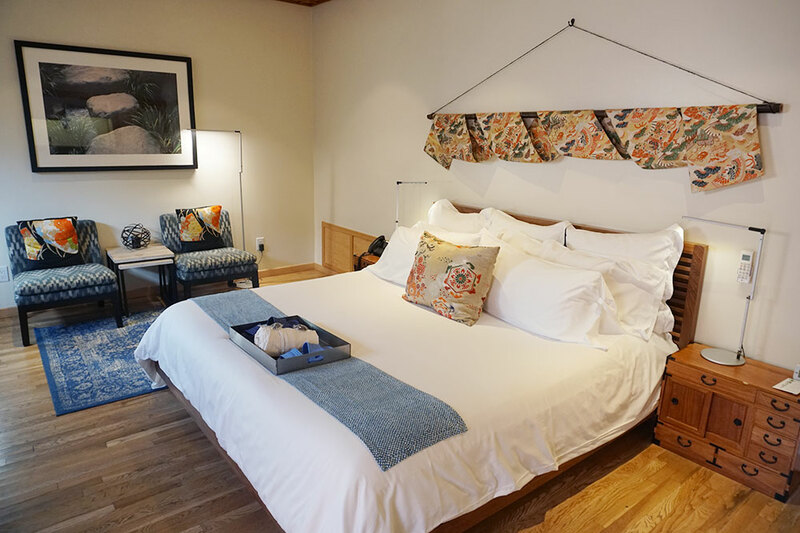 Our room’s warm wood floors and minimal furnishings were enhanced by traditional Japanese artwork and wall hangings. The receptionist pointed to a small bowl with one apple and one pear and said, “Breakfast is included.” I later found stale granola in a jar in the fridge, which was also complimentary! Overall, Ten Thousand Waves has successfully replicated the refined aesthetic, serenity and nature-centric design of of a traditional Japanese ryokan. And although the property is just 10 minutes from downtown Santa Fe, it feels quite remote. However, its flaws make it impossible to recommend wholeheartedly. The rooms designed to evoke a ryokan in the mountains of Japan; the private tubs at the full-service spa. The limited cell service; the derisory in-room breakfast offering. The spa is closed every Tuesday morning for cleaning. This property is not suitable for those with mobility issues. Leaving Santa Fe, we drove north for just over 200 miles through an unfolding southwest landscape to Vermejo Park Ranch, situated near the border of Colorado. This property was purchased in 1996 by Ted Turner and encompasses nearly 585,000 acres (920 square miles). The terrain is incredibly diverse and ranges from serrated snowcapped mountains to open prairies and green meadows. 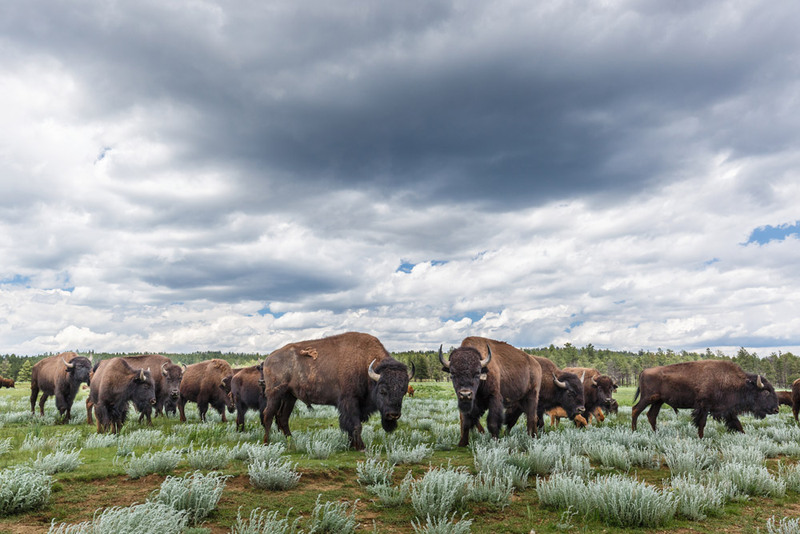 The wildlife is just as varied, with wandering herds of elk, bighorn sheep and mule deer, as well as a large resident herd of bison. 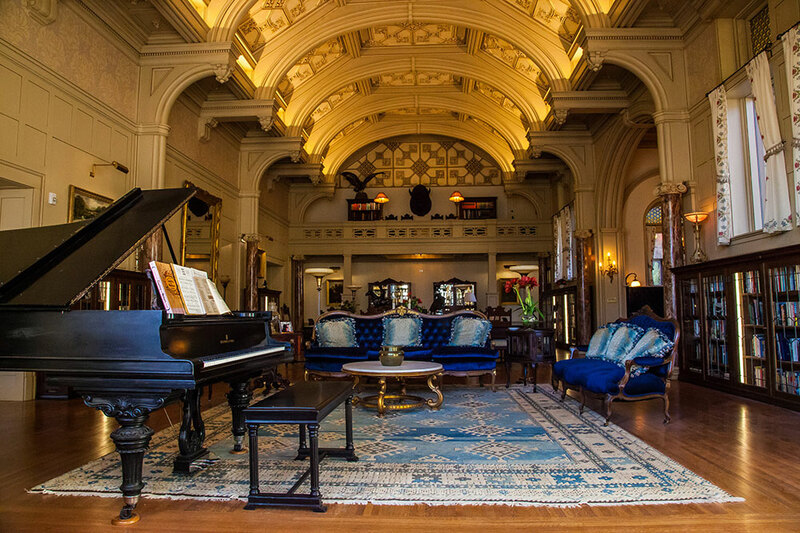 The interior of Casa Grande is extremely imposing, from the entry with its Italian mosaic floor to the grand living room with its massive marble fireplace, 1905 Steinway grand piano, double-height windows, marble columns, domed ceiling, dark-blue velvet banquettes and internally lit bookcases. 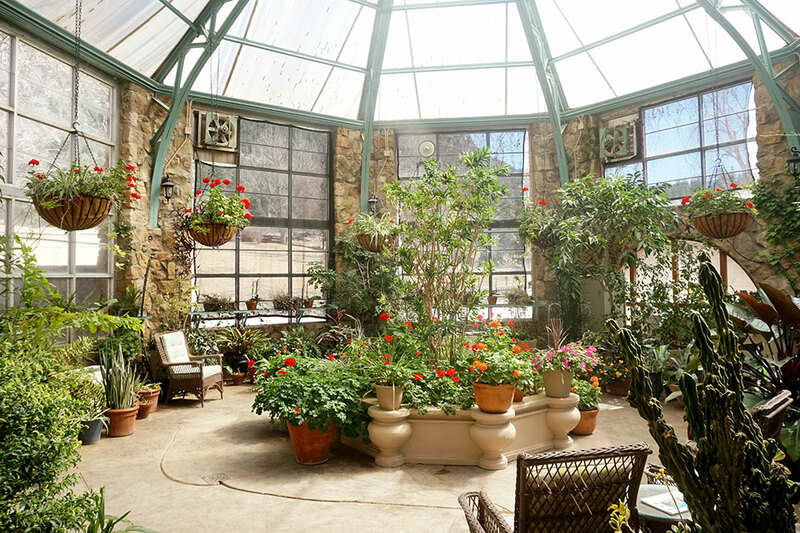 The baronial ambiance is augmented by a plant-filled atrium, a billiards room and a second-floor sunroom with white wicker chairs. 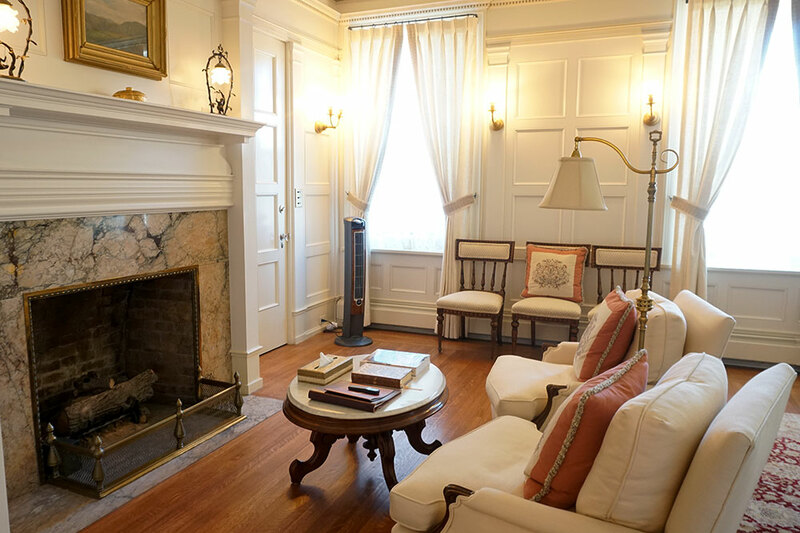 Although our suite was less opulent than the public areas, it was supremely comfortable, with two large dressing areas, an all-white bath and a gas fireplace. 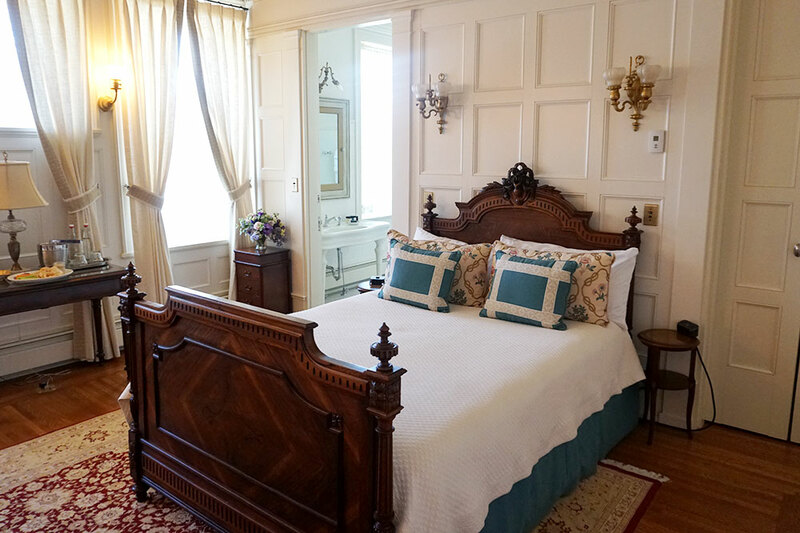 A carved mahogany headboard and the heavy Victorian furnishings were brightened by natural light streaming in through grand windows. 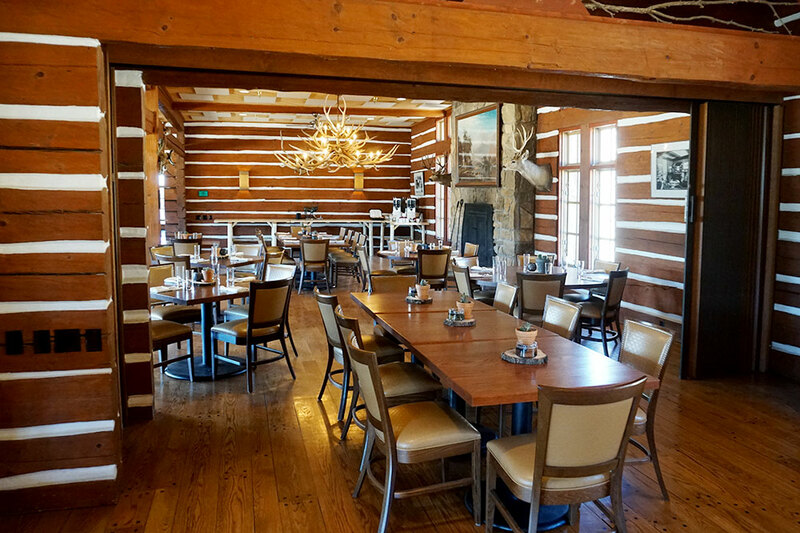 The rustic dining room in the main lodge offers an extensive breakfast buffet, while outstanding rotating lunch and dinner menus highlight ingredients sourced on-site such as trout fillets and bison steaks. (The chef was also happy to prepare the fish we caught.) Throughout our stay, the young staff were charming and professional. They treated one another like members of an extended family, and it was clear that they loved working at the ranch. Guests are assigned a private guide for the duration of their stay. Ours tailored an itinerary to our specifications and was quick to find an alternative activity when it began to rain on the morning assigned for fly-fishing. (The ranch has 30 miles of trout stream and 17 fishable lakes.) 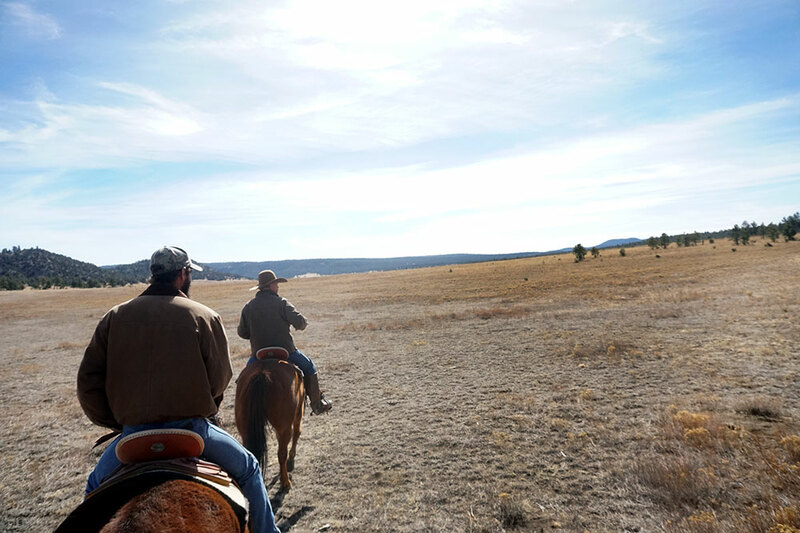 Historically, the ranch has been primarily a fishing and hunting destination, but the recreational activities offered have evolved to cater to a broader audience. The hotel now arranges wildlife safaris, horseback riding and photography workshops, as well as sporting clays, rifle shooting and archery. I highly recommend the trail rides with resident cowboy Doug Johnson, whose knowledge of the region and its history is encyclopedic. The opulence of Casa Grande is impressive, and as might be expected, a stay there is not inexpensive. As of now, I do not recommend booking a room in the more affordable Casa Minor, as it seemed rather tired; it will be undergoing a multimillion-dollar renovation in the near future. I’d been told in advance that the ranch feels like a national park without visitors, and having been there I couldn’t agree more. 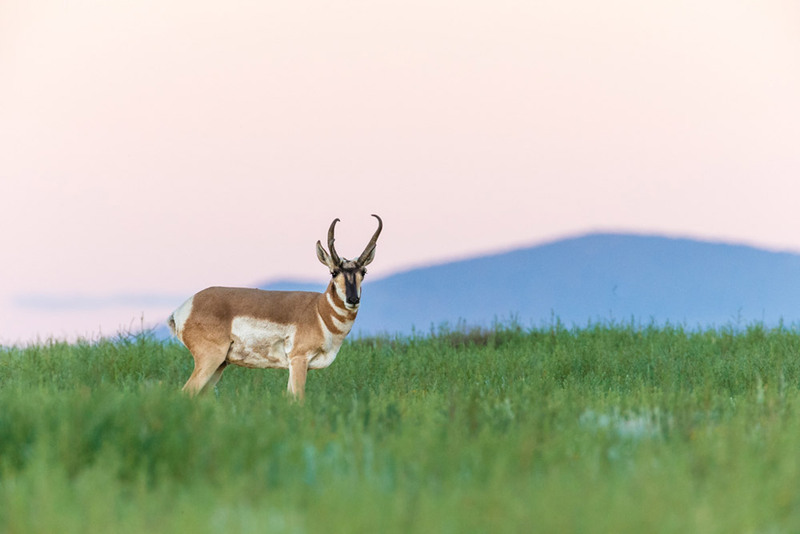 The freedom to roam a vast tract of Southwestern wilderness, before returning to a magnificent home with gourmet cuisine and every modern luxury, is a truly remarkable experience. 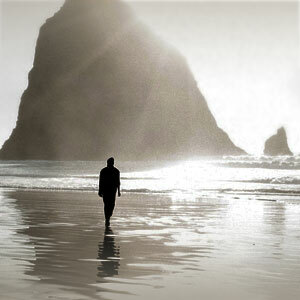 Charming staff; outstanding guided excursions; tailored itineraries. The half-hour drive along an extremely bumpy, unpaved route to get from the entry gate to the main lodge. 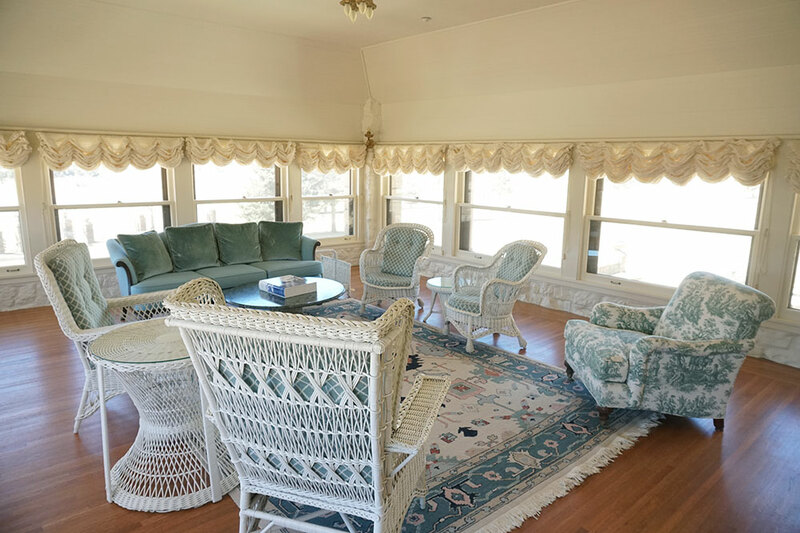 The eight-bedroom Costilla Lodge, 25 miles from the main estate, is ideal for family gatherings. 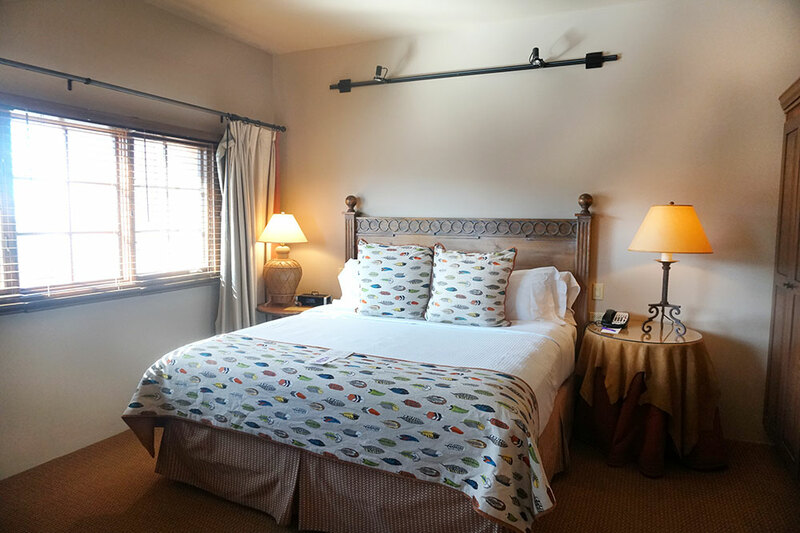 From Vermejo, we drove for three hours southwest to Taos, where we were booked at the 84-room El Monte Sagrado, a short walk from bustling downtown. First impressions were positive, as the resort is set around a large open green space encircled by towering cottonwood trees, meandering pathways and man-made streams. Check-in was disorganized, however, the staff were curt and our room was not available at 6 p.m., despite the guarantee that accommodations would be ready by 4 at the latest. We were directed to the bar to wait, without an apology. There we were left to watch fish swimming in a large aquarium that had streaks of dirt across the glass and cloudy brown water. More than an hour later, we were led to our Native American Suite. This was appointed with a kiva fireplace, elaborate tile work, Navajo rugs, hand-painted walls and artwork by Taoseño artists. Though the room was attractive, the furnishings needed to be reupholstered, the bedspread was frayed at the edges, black mold had colonized the grout in the shower and, through the paper-thin walls, every argument between the couple staying in the neighboring room could be heard. The restaurant was unexpectedly closed. A self-described “world of serenity” and “healing retreat,” El Monte Sagrado was a severe disappointment. Lush landscaped gardens; the serene relaxation room at the spa. Took them more than an hour to find our laundry; the disorganized check-in; the grimy fish tank in the bar. Private dinners for up to eight guests can be reserved in the wine cellar. 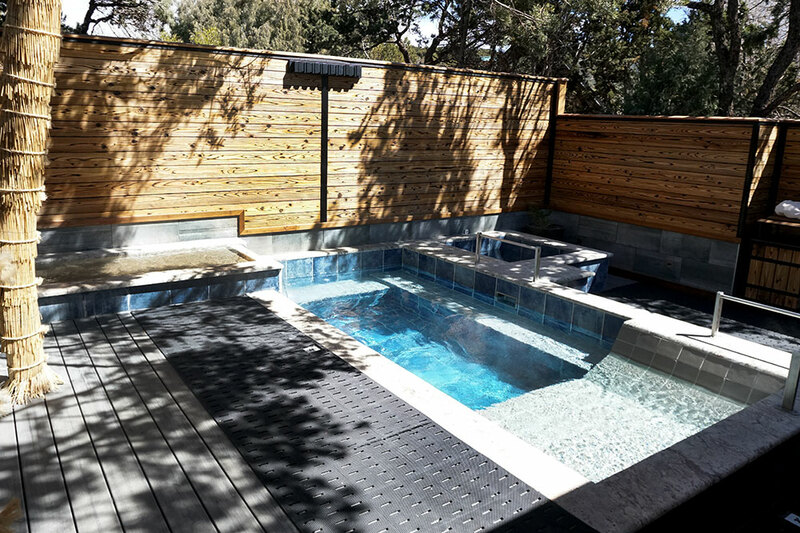 We checked out and drove two hours south to Sunrise Springs Spa Resort in the high desert 20 minutes from downtown Santa Fe. 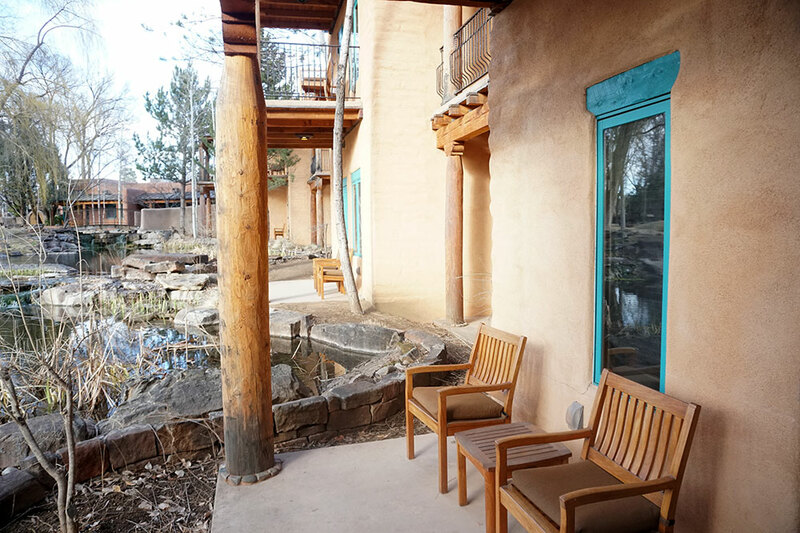 This gated wellness retreat features a contemporary design with Native American accents and is arranged around a natural lily pond, lush gardens, fountains, cottonwood trees and a medicine wheel. 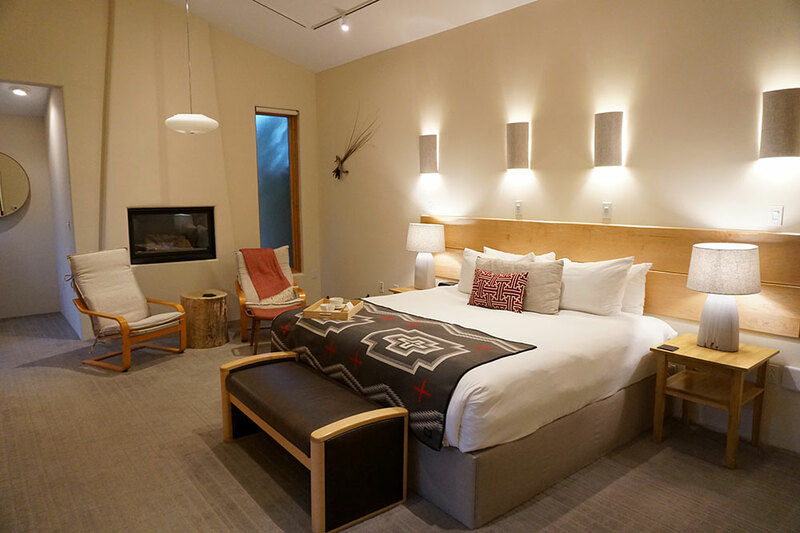 The Casitas are more luxurious than the Garden View rooms and come with private courtyards, gas fireplaces, Southwestern blankets and wall hangings, natural-wood elements and clean-lined furnishings. The main draw of the hotel is the extensive list of fitness and wellness classes. 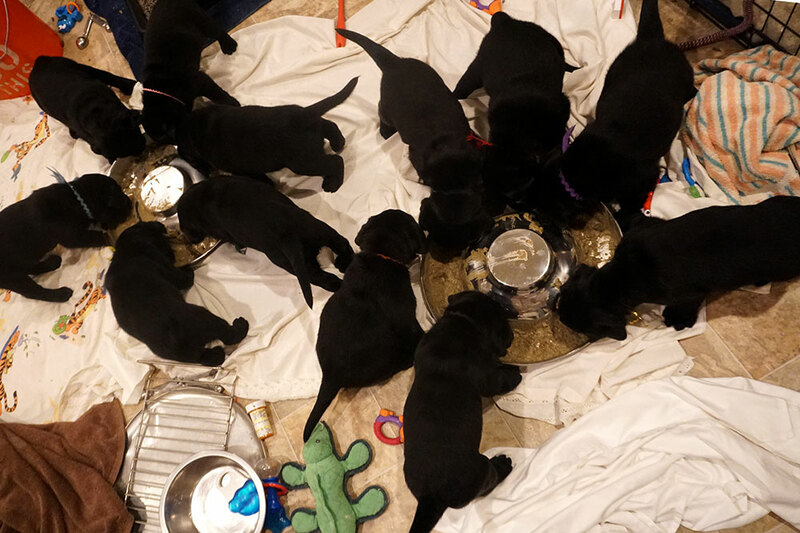 The latter range from arts workshops to gardening classes to interactions with puppies in training to be service dogs. 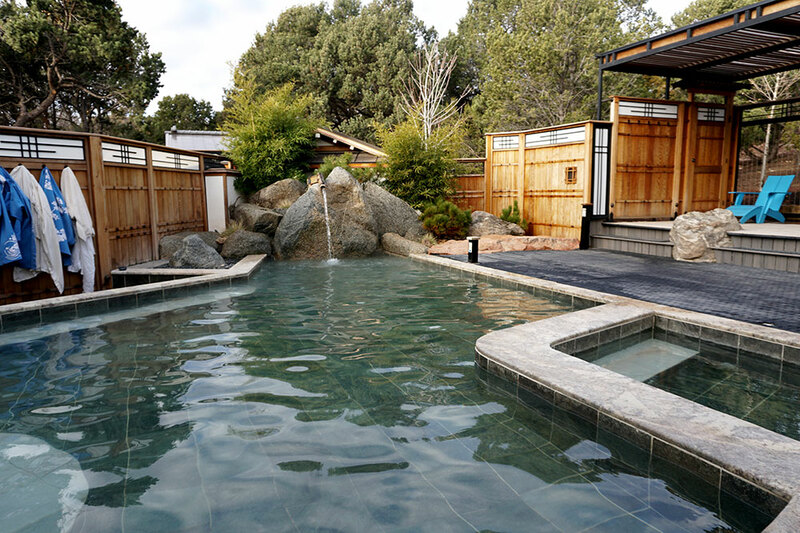 The spa is first-rate — as might be expected at a destination health retreat — but not to be missed is a soak in one of the mineral-infused open-air soaking tubs, or the Japanese-style wooden tubs. 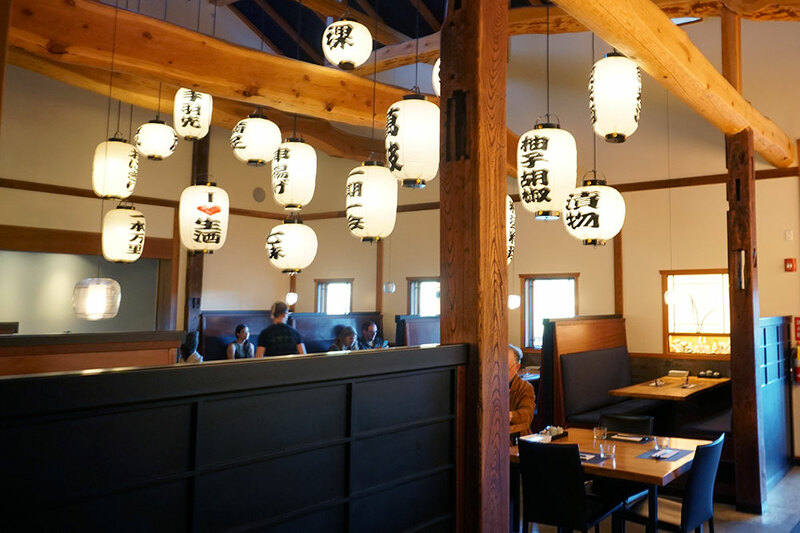 We were pleasantly surprised by the delicious meals served at Blue Heron Restaurant, which included dishes like poblano relleno served with quinoa and cashew cream, and fresh Chilean sea bass accompanied by a truffle-mushroom risotto. This serene oasis naturally encourages you to slow down, and we left feeling rejuvenated. 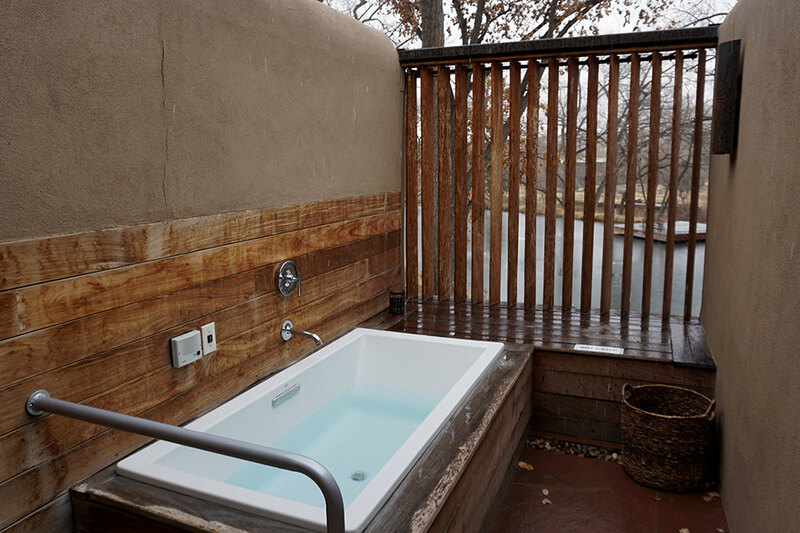 Outdoor soaking tubs overlooking the manicured grounds; the wide range of daily activities. Buzzing fluorescent lights in the bath. 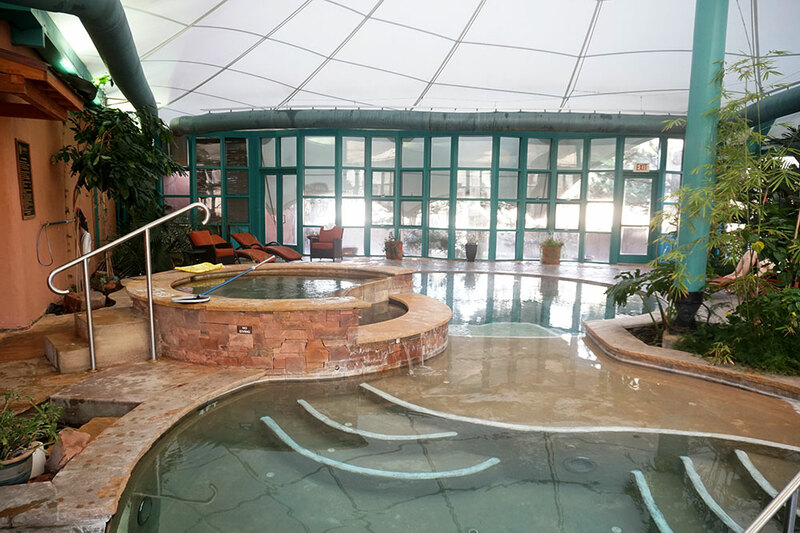 Day passes to the resort’s sister property Ojo Caliente Mineral Springs, with access to its mineral pools and mud pools, are available. 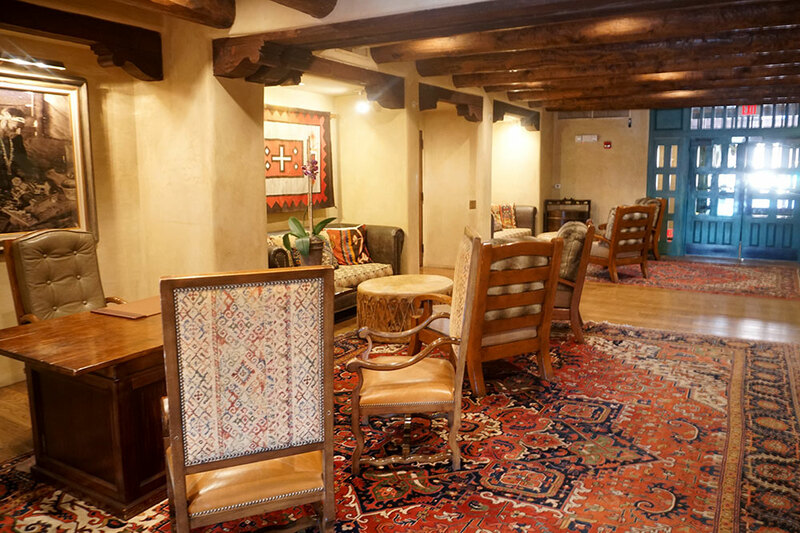 After having visited the pueblo inhabited by the Picuris people — located 28 miles southwest of Taos in the Sangre de Cristo Mountains — we were interested in checking out the hotel in Santa Fe of which they are majority owners: The Hacienda at Hotel Santa Fe. The newer 35-room Hacienda wing is far superior to the accommodations in the main hotel building and offers the added features of butler service and a daily wine and cheese reception. 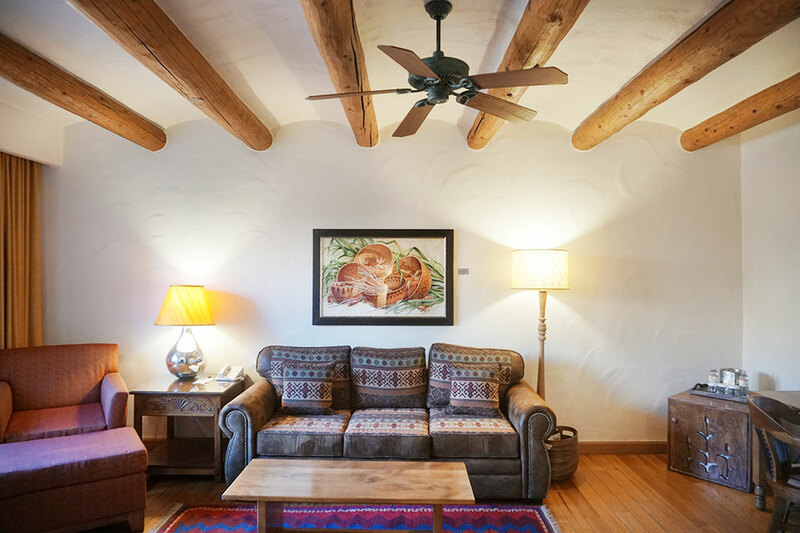 The hallways of The Hacienda are lined with museum-quality indigenous sculptures and artwork, while the leather and pine furnishings, granite baths, desert-hued décor and Southwestern design accents in my room were splendid. Despite these superior lodgings, the property cannot be recommended. The staff were lukewarm, the view from our room overlooked a parking lot with a row of dumpsters, and the fare at the restaurant was mediocre. Though the fascinating cultural talks and dances make this hotel unique, the public areas need to be refreshed, and the employees could use retraining. Weekly cultural talks and dance performances by the local Picuris Pueblo tribal members; museum-quality exhibits in public spaces. Views of a parking lot with dumpsters from our accommodation’s private balcony; quality of the food not commensurate with the prices. Private meals in a tepee can be arranged. 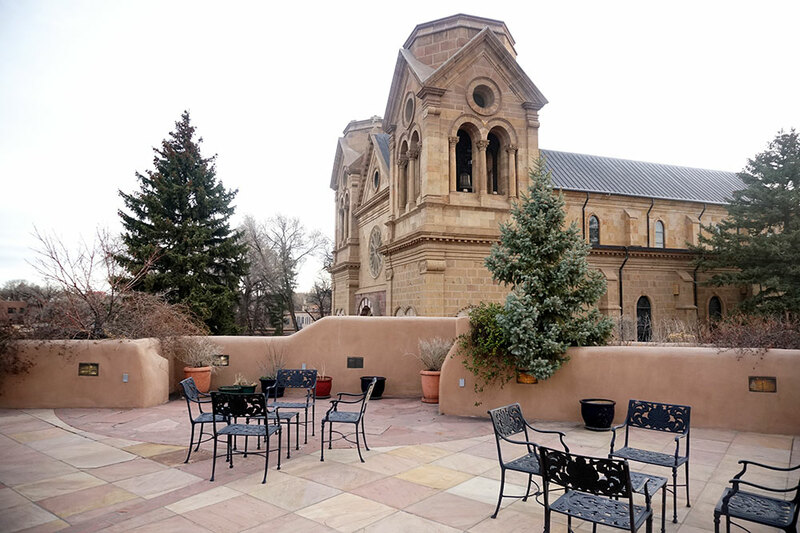 The most historic hotel in Santa Fe is The Terrace at La Fonda on the Plaza, which in its current state was built in 1922, although it is believed that an inn has stood on this site since 1607. We have long considered the property to be too touristy for Hideaway Report readers — there is an eclectic array of retail shops on the first floor that range from fossil-and-gem merchants to food vendors to cookware boutiques — but the 15-suite Terrace accommodations, where guests have exclusive access to a private concierge, rooftop terrace, fitness center and hot tub, seemed promising. To get to the reception desk, we had to snake our way through the tourist hordes. We were then unceremoniously handed a map with directions to the private elevator leading to The Terrace rooms. Our first few minutes at the hotel, from the overcrowded public areas to the brusque staff, generated an extremely unfavorable impression. However, on arrival at the private Terrace floor, things began to change for the better. The space was serene and the concierge was charming. 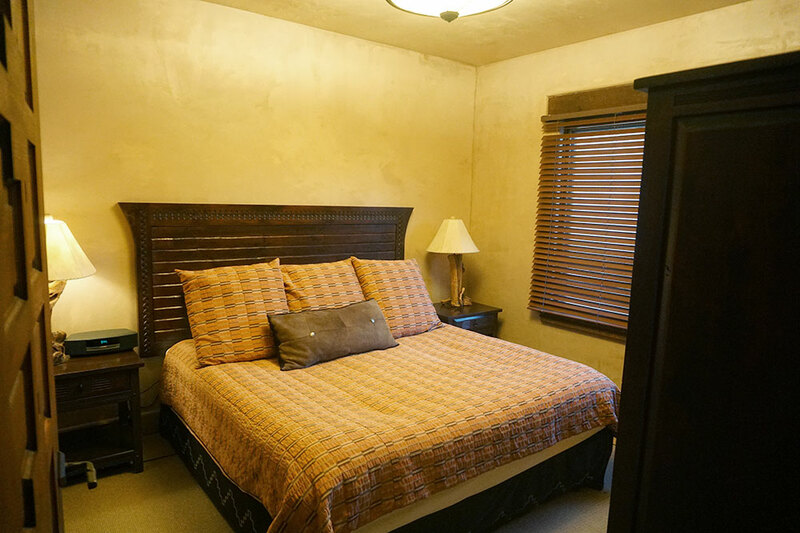 Our Spanish- and pueblo-inspired room had a king bed with a hand-painted headboard, thick viga-beamed ceilings and carved corbels. 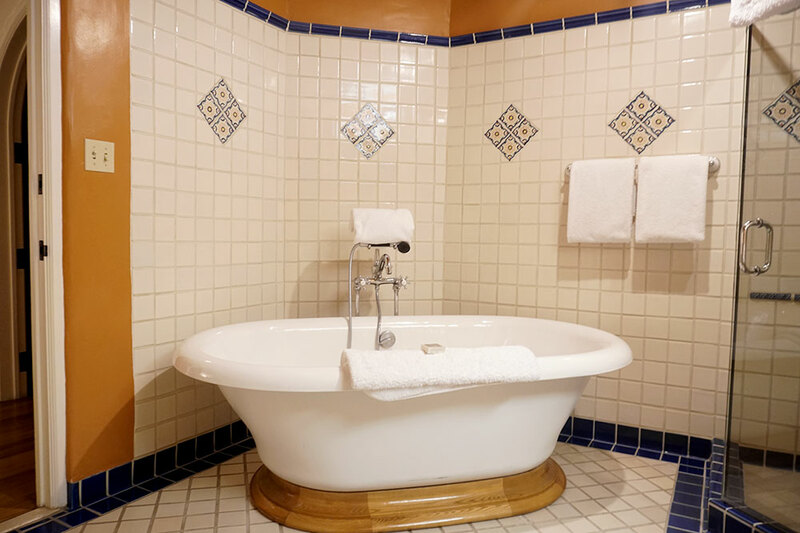 The spacious bath was painted with tile murals and was appointed with a huge soaking tub. The window in the bedroom provided a clear view of the Cathedral Basilica of St. Francis of Assisi. However, even though The Terrace rooms are elegantly appointed, the overwhelming noise levels and number of tourists in the hotel’s restaurant, both bars and the lounge prevent me from endorsing this property. 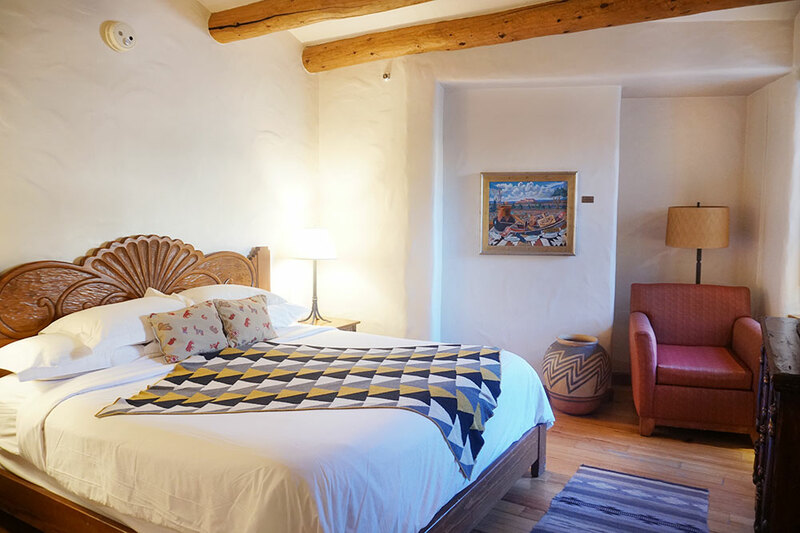 The best hotels in downtown Santa Fe remain those that we have recommended for many years: The Inn of the Five Graces and Rosewood Inn of the Anasazi. 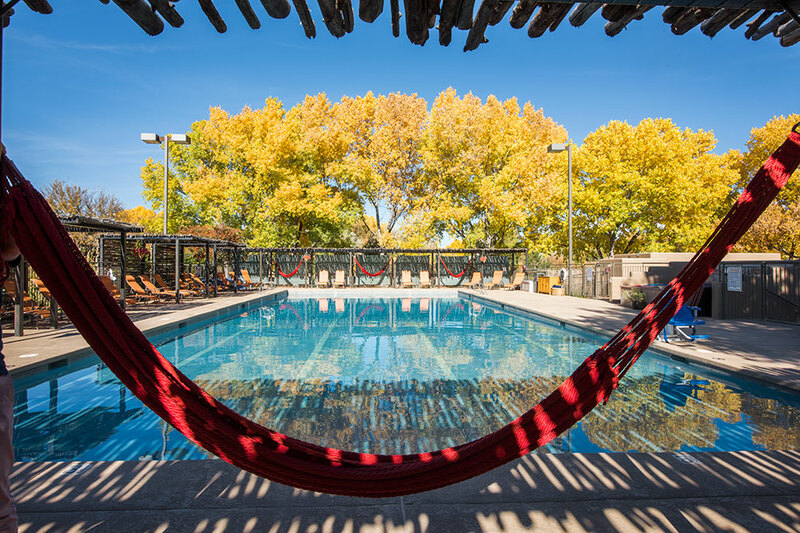 For an escape, head to Sunrise Springs and Vermejo Park Ranch. You will not regret taking the time to drive through the magical landscape of northern New Mexico to reach these two private oases. Exclusive access to a private concierge, hot tub and fitness center for Terrace guests only; the unobstructed views of the cathedral from the bedroom. The overcrowded lobby and bar; the lack of a reception desk at the spa. 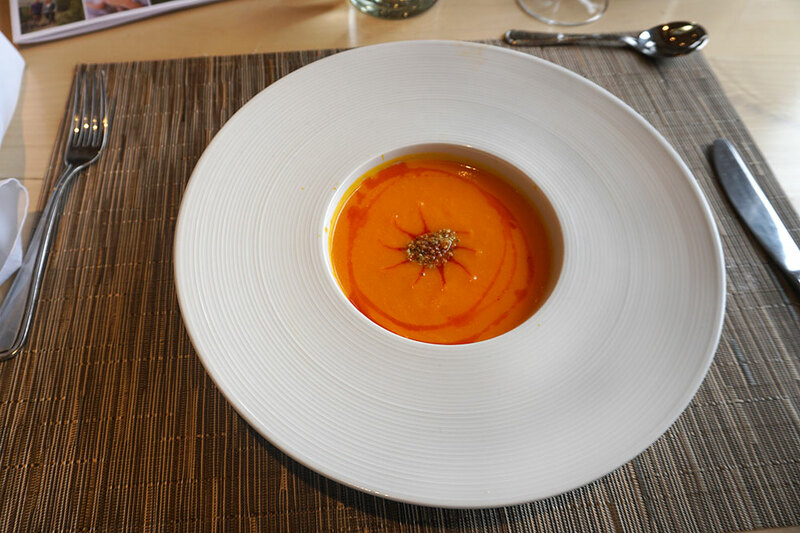 If you want to eat in the restaurant, be sure to make a reservation in advance, as it is open to the public and often extremely busy.